A local North Texas favorite! Mark Davis continues to trade opinions with listeners on 660 AM The Answer. Mark Davis has become one of the most successful radio talk show hosts in America. More than thirty years hosting shows, with most of those years in North Texas, have established him as a foremost conservative voice both locally and nationally. 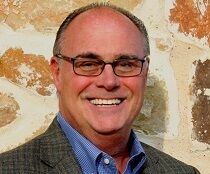 Mark Davis is the premier North Texas conservative talk show host and Dallas Morning News columnist.